4Do you want your Wine Racks Wall Mounted or Free Standing? If you love wine and are fond of collecting it, you should know that wine needs a proper storage place in order to age tastefully. The most ideal wine storage place is a residential custom wine cellar. A custom wine cellar must be well designed in order to effectively keep wine at its best. Every single aspect of a wine cellar must be planned properly. One of the key parts of a custom wine cellar is the wine racking. Wine enthusiasts spend a lot of time planning for the perfect wine racks. Custom wine racks are the best option in California. Custom wine racks can be made according to your personal preference, and can be constructed to fit your wine storage needs. Custom wine racks can be made from a variety of materials. In fact, they can be made from virtually any material. The most common type of materials for wine racks are plastic, metal, steel, iron and wood. Wrought iron is one of the most popular choices of materials for wine racks in CA. It is a good choice, because it is durable and long lasting. Wrought iron wine racks can be made in different styles, that range from traditional and antique to modern and contemporary. A lot of people opt to use wrought iron for their wine racks because the material can be made into fluid and artistic shapes. Wood is also another popular material when it comes to wine rack construction in California. There are various wood species to choose from, and they include Redwood (Premium Redwood and All Heart Redwood), Mahogany, Pine, Oak, Fir, etc. With wooden wine racks, you also get to choose from a variety of stain and finish options. Plastic is one of the newest materials that are being used today to build designer wine racks. What’s great about plastic wine racks is that they can be made into almost any design, and stacked to any shape. Metal is not very easy to work with when building wine racks, but it is a very durable material. Just like wrought iron racks, metal wine racks can be made into fluid and flowing shapes and designs. You can also opt to paint metal wine racks, so that they match your existing décor. Many wine storage experts say that metal wine racks should only be used for short term storage, because they tend to be smaller, and thus hold fewer wine bottles. Metal wine racks should be used for display purposes only, and not for wine aging. Metal wine racks can be of good use for commercial wine storage purposes. Stainless steel is a durable material for wine racks. Stainless steel wine racks are highly resistant to corrosion and staining. They are also easy to clean. Stainless steel wine racks are great if you want a more modern or contemporary look for your custom wine cellar. They come in a variety of shapes, designs and sizes too. When planning for a wine rack it is imperative that you have a clear goal of how many wines you intend to store. Are you planning on a small wine collection of 10-15 bottles, or are you planning to have a continuously expanding collection? The size of your wine collection will determine the size of the wine racks that you need. Moreover, you also need to decide on what kind of wines you plan to collect. Different wines come in different bottle sizes. There are bottles that are larger than others, like those of sparkling wines and champagnes. The wine racks you need should be made to accommodate the wine bottles sizes of your wine collection. Wine racks can either be horizontal or vertical. Which is appropriate for your wine racks depends on how you intend to use them. Horizontal wine racks are great for long term wine storage because the angle of the wine bottles keeps the corks moist. In long term wine storage, corks should always be kept moist, otherwise they shrink and air can get inside the bottle and spoil the wines. Vertical wine racks are good for short term storage, and with this configuration, sediment is allowed to settle at the bottom of the bottle, rather than around the cork. Do you want your Wine Racks Wall Mounted or Free Standing? You can opt to have your wine racks either mounted on the wall, or free standing. Wall mounted wine racks are great for display purposes, so that your guests can see the wine labels immediately. Wall mounted racks maximize space and can be very decorative. Free standing wine racks are great for those who have a continually expanding wine collection. You can remove these kinds of racks easily if you need to move your wine collection to another location, too. It is important that your custom wine racks are not only beautifully designed but also properly constructed. To make sure of this, it is best to have a professional wine storage expert design and construct your custom wine racks. In Los Angeles, California, there are many wine storage designers and builders. 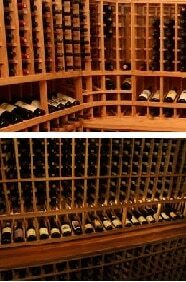 Coastal Custom Wine Cellars is one of the most trusted wine rack and wine cellar builders in California. They boast of consistent customer satisfaction. 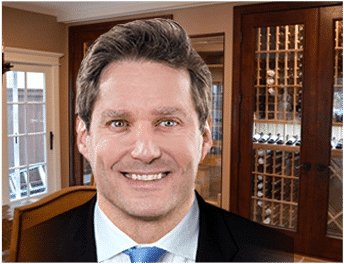 Coastal Custom Wine Cellars offers free consultation as well as a 3D design of your desired residential custom wine cellar. They will also be with you from the designing of your wine cellar up to its complete construction. Entrust your home custom wine cellar to Coastal. For more information about their products and services, contact them today at +1 (888) 735-8889!